Furthermore, according to the ACLU, Alliance for Boys and Men of Color with PolicyLink, Anti Police-Terror Project, Black Lives Matter – California, the California Faculty Association, and PICO of California, among others, police kill people at a rate 37% higher in California than the national average, and in 2017, California police officers killed 172 people, half of whom were unarmed. Presently, police kill more people in California than in any other state with three out of four of those people being people of color. Black people are three times more likely to be victims of police violence. The controversy surrounding the recent shooting death of a sleeping homeless man in Oakland illustrates our urgent duty to follow through on amending the Oakland Police Department’s use of force policy and fully supporting our independent Police Commission in doing this necessary work. 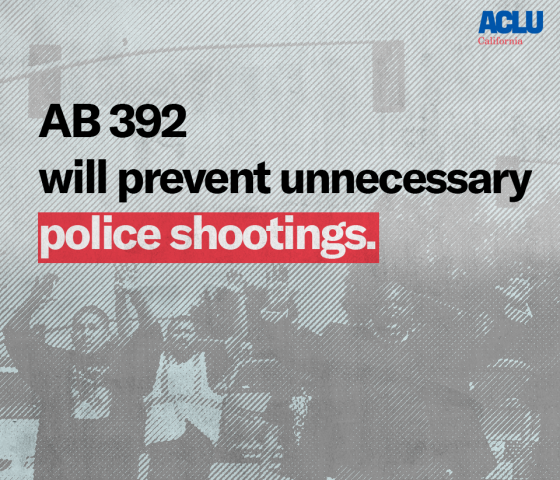 We, Councilmembers Nikki Fortunato Bas, Dan Kalb, Loren Taylor, and Rebecca Kaplan are bringing a resolution in support of AB 392 to the Oakland City Council later this month, but Oaklanders can in the meantime weigh in on the bill to the Assembly’s Public Safety Committee members before April 9th. Local Assemblymember Buffy Wicks represents many Oakland neighborhoods and is on the Public Safety Committee, as well as Assemblymembers Bill Quirk and Rebecca Bauer-Kahan who also represent the Bay Area on the committee.